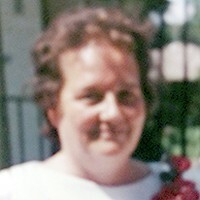 Sakry, Barbara Faith Age 79 of Tonka Bay passed away Feb 8th 2019. Loved dearly by her family. Preceded in death by parents Franklin and Mildred King; sister, Janet. Survived by husband, Edward Hugh Sakry; children, Rebecca, Bruce (Mary), Julie (Jim) Wertish, Laura (Mike), Katherine (David), Jennifer (Terry) Mahoney, Angelique (Bob) Felkey and Jeremy; also survived by 17 grandchildren, and 16 great-grandchildren. Interment Fort Snelling Cemetery. Funeral service 10am, Fri. Feb. 15, with visitation one hour before at: Washburn-McReavy.com Swanson Chapel 612-529-9691 1600 Lowry at Irving Ave. N.